Changing our negative behavioral patterns, flawed thought processes, and troubling emotional responses can be a lengthy process that is filled with numerous self-esteem setbacks and immense levels of frustration. Even when our intentions are right, we are often unable to overcome our habitual ways of being. We tell ourselves that we won’t drink on the weekend, or that Monday is going to be the day to start working out, or that tonight is the night we are going to be productive around the house instead of watching TV. When the time comes to act upon our good intentions, however, we typically revert back to the same behaviors that we desire to change. The natural process of human conditioning is a culprit that often leaves us feeling hopelessly unable to improve our current situation and circumstances. For all of us, the bad news is that lasting change is hard to manifest in our lives because of the habitual mental, emotional, and behavioral patterns that we become accustomed to. The good news, however, is that with the appropriate understanding of what has to happen to creating meaningful change, we can take decisive steps towards improving any facet of our lives. To gain an understanding of how neuroplasticity works, it is first important to familiarize yourself with how the brain operates. The human brain is home to billions of brain cells, or neurons, that communicate with each other in a systematic way to coordinate behavior, emotional responses, physical movement, and bodily sensations. Various regions in our brains take on different responsibilities in an effort to keep ourselves safe, healthy, and harmonious. For example, the frontal lobe handles thinking and problem solving, the brainstem controls our breathing and heart rates, and the hippocampus is tasked with storing and recalling memories. The billions of neurons in our brains communicate with each other by sending electro-chemical signals back and forth through neural pathways, or synaptic connections. These neural pathways, which develop throughout our lives, allow our neurons to send messages to and from the various task-specific regions in our brains. It is estimated that there are over 100 trillion neural connections in the human brain, and that the neural pathways that we form can be either strengthened or weakened depending on how often a particular connection is made. Our habitual behaviors, for example, have strong neural pathway connections, where as a behavior that we are trying to learn would have a weak one. It may be easiest to think of your brain as some sort of super-city that has a number of neighborhoods, or brain regions, connected by various streets. These neighborhoods are individually built to meet particular needs of the city and work together in hopes of keeping everything running smoothly. The streets, or neural pathways, are used by individuals living in the city, or neurons, to take information from one neighborhood to another. Overtime, depending on how the city operates, some of the streets become more frequently used and are travelled along by the individual neurons more than other streets. Depending on the familiarity of particular stimuli in our external environment, neurons will communicate with each other through predictable pathways just as particular streets become busy throughout the day. The significance of neuroplasticity should not be understated in anyway because it gives us the ability to change our negative behavioral patterns and emotional responses in favor of more life-affirming alternatives. If particular neural pathways, or streets, are hurting the brain’s overall harmony, wouldn’t it be better to replace them in favor of a more effective and efficient routes? It was during the late 1800s when celebrated Russian psychologist Ivan Pavlov discovered one of the most important pieces of the human behavioral puzzle. This was when Pavlov, who was trying to determine what role his dogs’ saliva played in the digestion process, accidentally discovered the process of conditioning. Without getting overly scientific, the conditioning process shows how, overtime, particular stimuli in our environment causes us to act in predictable ways. When we repeat the same behaviors in similar situations, over and over again, we become conditioned to respond to that stimuli in the exact same ways. When looking at detrimental behavioral patterns and emotional responses from the eyes of a psychologist, it would be easy to see how particular stimuli conditions individuals to behave in certain ways. This truth is the reason why recovering alcoholics are told to stay away from bars, and a person who suffers from overeating would want to empty their pantry. The conditioning process, which can be reinforced for years if not decades, is also the reason why changing our negative behavioral patterns often seem like an impossible task. Beyond the physical and emotional levels, the conditioning process can also be seen in the neural chemistry of the brain. Our detrimental behavioral patterns, flawed thought process, and emotional responses have formed especially strong neural pathways that make it difficult for us to break free from destructive habits. This, however, doesn’t mean that breaking free from our unwanted habits is impossible. 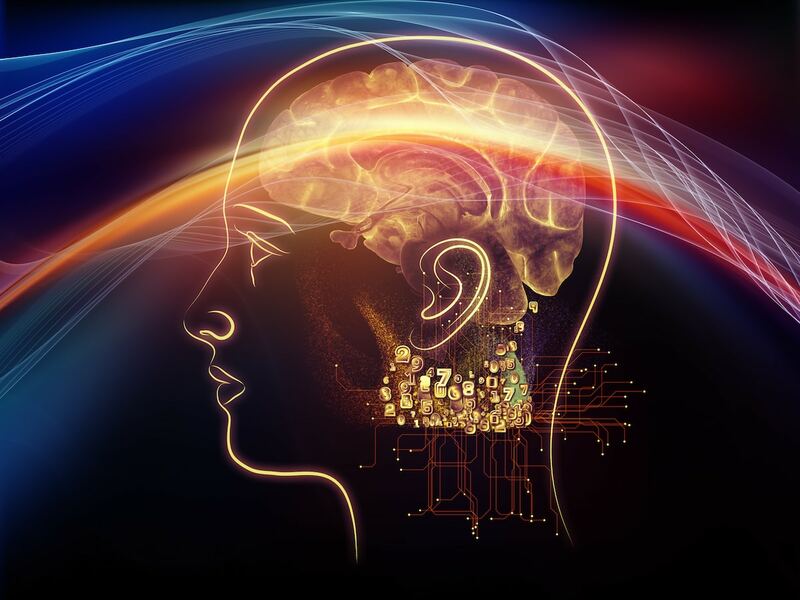 By understanding and utilizing the power of neuroplasticity, we can retrain and rewire our brains to react differently to the situations, people, and circumstances that cause us to act in regrettable ways. In order for us to overcome destructive habits, we have to find ways to create life-affirming neural pathways that overtake the ones we seek to change. Just by understanding how the brain and neuroplasticity works can help shift your perceptions about your own bad habits. Instead of thinking that something is wrong with you or that you will always be tormented by the particular behavior, you should be able to see the situation from a different light. In reality, all you need to do is create a positive neural pathway to replace the negative one. Using the previous example of a super-city, the process of replacing a neural pathway would be similar to replacing a city highway. Both of these processes come with short-term headaches and bouts with frustrations, but upon completion both also come with higher levels of efficiency, effectiveness, and satisfaction. Awareness and Disassociation: The practice of meditation allows us the opportunity to increase our self-awareness, which is vital to find underlying triggers that cause us to behave in particular ways. Once we are aware of these triggers, we can find ways to deal with them more effectively. Meditation also gives us the chance to separate ourselves, our true self, from our disempowering behaviors. Instead of seeing the destructive behavioral pattern as ‘just being who we are,‘ we can gain power over it by putting ourselves above it. Investigation and Planning: At some point along the way, each and every negative habit that we have helped us meet a particular need. An individual may start smoking to impress others, someone starts drinking to release stress, or someone starts eating excessively to obtain a ‘feel good,‘ sugar high. It is important for us to determine what we obtain, or obtained, from the habit and then look for healthier alternatives to meet that need. We also can take steps to plan a course of action when we know of situations where we will be tempted to react in the same drawn out ways. Intention and Focused Attention: Three of the most important things that you can do to overcome a destructive habit are to cultivate the intention to change, find definitive reasons that remind of why it is so important to change, and focus our attention on the solutions. It is highly unlikely that we will be able to create lasting change by focusing our attention on the actual problem instead of the solutions to the problem. Using the power of intention and attention makes our chances of changing dramatically increase. One way that you can utilize these tools is to ask yourself conscious questions, centered around the habit at hand, on a daily basis. New Experiences: Utilizing the 3 steps above can greatly help you rewire your brain, but still the most important thing you can do is to create new habits that bring you the same types of feelings that you once received from the detrimental habit. If you really want to put an end to your destructive behavioral patterns, then finding enhanced alternatives should be of outmost important. The human brain offers us all great potential to overcome destructive habits, creating meaningful alternatives, and live life with more fulfillment. If you have a particular habit that you want to change, make sure to use the reality of neuroplasticity to your full advantage.